Battlefield™ Hardline is gearing up for apparently its fastest, most explosive expansion yet. 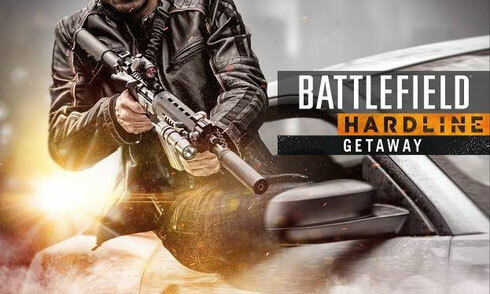 Whether you’re making a dusty, high-speed escape across the Mexican border, or closing in on a hot pursuit along the sun-drenched Pacific coast, EA aims for you to be chasing glory at top speed when you play Battlefield™ Hardline: Getaway*, coming January 2016. The expansion features four massive maps: Pacific Highway, Double Cross, Train Dodge and Diversion and a new game mode: Capture the Bag. In addition there will be four new vehicles, three new weapons for the Mechanic Class, one new gadget, a new melee weapon and four new Legendary Camos. In addition, all players will receive a game update that includes new weapons and patches, as well as new features. What's up Dear, are you actually visiting this website regularly, if so then you will definitely get fastidious experience.